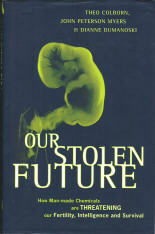 Our Stolen Future is published by Little, Brown and Company Ltd (UK), Brettenham House, Lancaster Place, London. WC2E 7EN. Priced at �.99 it is written by Theo Colborn, John Peterson Myers and Dianne Dumanoski and is widely regarded as the modern equivalent of Rachel Carson's book "Silent Spring"
The book traces the causes of reproductive failures, sexual abnormalities and birth defects in animals, fish and birds in all parts of the world. In examining the effects of chemicals which mimic hormones the risk to human health is exposed and concludes that we must change the way we live if the human race is to survive. Pesticides Chemicals & Health is published by the British Medical Association via Edward Arnold, Hodder and Stoughton Ltd, Mill Road Dunton Green, Sevenoaks, Kent TN13 2YA. This publication gives a useful guide to the use of chemicals in the modern world and indicates growing concerns about the adverse effects on the environment and human health. The book provides evidence about the risks and benefits of pesticides and possible future regulations and is a valuable resource for anyone interested in environmental issues. 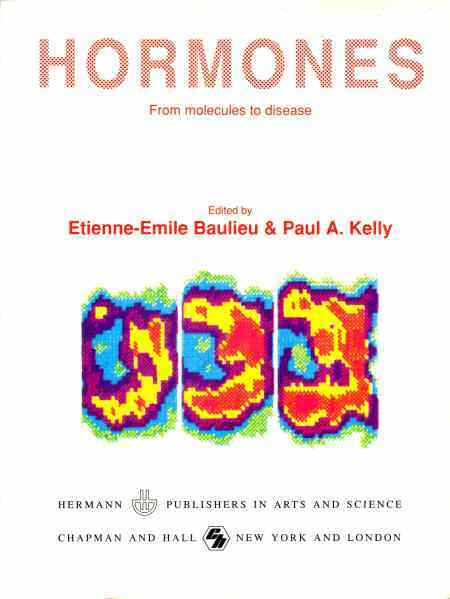 Hormones: from molecules to disease is published by Chapman and Hall, 11 New Fetter Lane, London EC4P 4EE. It is edited by Etienne-Emile Baulieu and Paul A.Kelly. The book offers a comprehensive guide to all aspects of the endocrine system including molecular communication between cells and the specific actions of hormone systems. No less than five Nobel laureates have contributed to the publication which offers a means for students and scientists alike to enhance their understanding of this complex and vital system. Aerotoxic Syndrome; Aviation's Darkest Secret by John Hoyte. and, in too many cases, deaths as a result of exposure to deadly nerve poisons while in flight. The book reports on concerns about a health risk known for over 60 years which can affect anyone travelling by jet aircraft. The purpose of the book is to raise awareness of a hidden problem in aviation involving the air that all aircrew and passengers breathe while in flight. First published as an ebook on-line in 2014 the book may be obtained as a download at www.aerotoxic.org. The book is also published in paperback form by Pilot Press, 27 Old Gloucester street, London. WC1N 3AX. UK. Blacklisted by Dave Smith and Phil Chamberlain. The secret war between big business and union activists. How employers colluded with the police and security services using shameful and immoral practices against those who exposed dangers at work. First published in 2015 by New Internationalist Publications, in the UK at The Old Music Hall, 106-108 Cowley Road, Oxford, OX4 1JE. Undercover by Rob Evans and Paul Lewis. anti-racist groups, animal rights campaigners to monitor British "subversives" using invented lives. examines the link between physical and mental health and the effects of the digestive system on health. She specialises in Neurology and Human Nutrition in behavioural and learning disabilities and digestive and immune system disorders. First published in 2004 by Medinform Publishing, in the UK at 10 Adlaide Close, Soham, Cambridge CB7 5FJ. In this publication Martin Walker gives women who have been damaged by hormone replacement therapy an opportunity to tell the world of their adverse reactions. The book is dedicated to those women, to the women who have died, and to their children, husbands, and families, whose lives have also been affected. 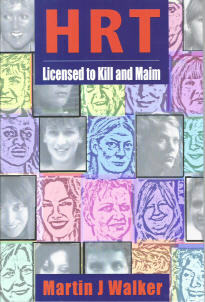 The actress Jenny Seagrove is quoted as finding the book "quite terrifying" and that it confirms "that HRT is one of the greatest mistakes of the 20th/21st centuries"
"A state-of-the-art toxicology textbook - ideal for students and professionals"
The book claims to emphasize the biochemical aspects of toxicology so as to bring about understanding of the toxic actions at cellular and molecular levels. Published by John Wiley & Sons Inc., 111 River Street, Hoboken, New Jersey, 07030, USA. it is available for purchase at approx � in the UK but earlier editions are said to be available at greatly reduced prices from suppliers such as Amazon. 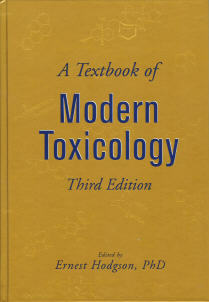 Experimental and Clinical Neurotoxicology is edited by Peter S. Spencer and Herbert H. Schaumburg. and those affected by them will find the description of correct neurological examination of real value and interest. The web site carries the comment "This book is a comprehensive and scholarly statement of current knowledge of neurotoxicology and is an indispensable map for anyone planning to travel in these charter and uncharted waters"
and seems to admirably describe the contents. and 400 Market Street, Suite 400, Philadelphia, PA 19106, USA and is priced in the UK at �.99. 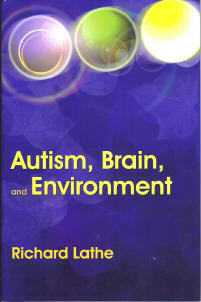 The book brings together biomedical evidence in an attempt to understand the causes of autism and other similar conditions. 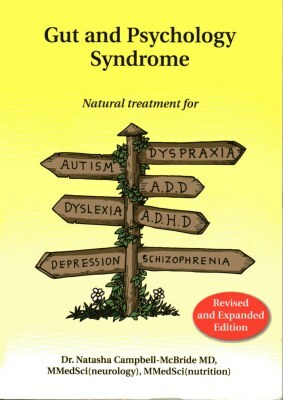 The book is said to be of great value to researchers, medical practitioners and to the parents of autistic children and offers a way to understand the causes, effects and possible treatments for the condition. 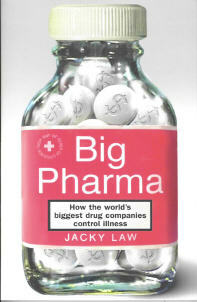 The book provides a wide reaching analysis of healthcare in the modern world and reports on the way research and treatment regimes are influences or controlled by a small number of very powerful corporations worldwide. The publication is priced at �.99 in the UK. Australa (Palgrave Macmillan, 627 Chapel Street, South Yarra, VIC 3141) and in the UK by Turnaround Publisher Services., Unit 3, Olympia Trading Estate, Coburg Road, Wood Green, London, N22 6TZ. The book reviews the history of biological weapons describing various agents used, assesses the effectiveness of vaccines, and offers views on preventative measures and treatments of infectious diseases. The book is priced at $16.95 in the USA, $26.95 in Canada and �.99 in the UK. In this book he examines the influences over science, medicine and the political scene in the UK. He suggests that corporate interests have been given total responsibility for science, medicine and health, and that public health has suffered as a result. 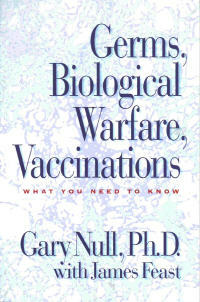 His book examines the issues of vaccination, genetic engineering and the attacks on those sick with M.E. and chemical poisoning or sensitivity. Readers will be shocked to read the links detailed here regarding the Nazi company I G Farben with CODEX, and how those who are corrupting science, medicine and politics, have connections with former Communist organisations. To quote "It shows how those who have fought for independent science have been bullied, attacked and discredited, using political strategies that have nothing to do with science and everything to do with power and profit". 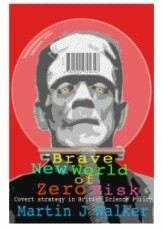 Or see the Zero Risk web site http://www.zero-risk.org and support the call for investigations into the practices that have endangered our lives. Organophosphates and Health is published by Imperial College Press and is distributed by World Scientific Publishing Co.Pte. Ltd, PO Box 128, Farrer Road, Singapore, 912805. It is edited by Karalliedde, Feldman, Henry and Marrs and readers may find it both a useful reference book and an example of how misinformation hides poisoning cases in the developed world. 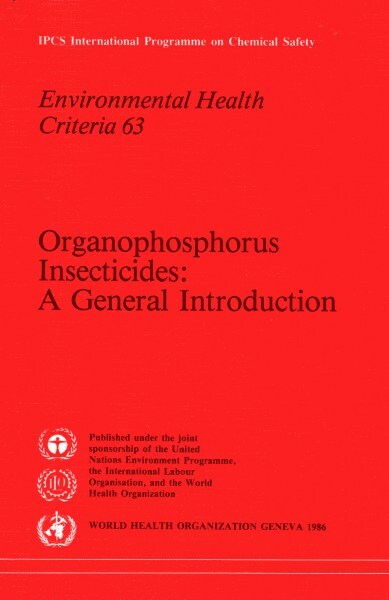 Organophosphorus Insecticides: A General Introduction (1986) is published by the World Health Organisation as Environmental Health Criteria 63. 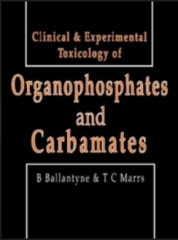 Clinical and Experimental Toxicology of Organophosphates and Carbamates is published by Butterworth-Heinemann Ltd.
ISBN-10: 148317784X or ISBN-13: 978-1483177847 for the paperback. Some previously unpublished information and experience from a number of experts are also reported. It provides a reference source to biochemists, pharmacologists, toxicologists, and a host of professionals inmvolved in tthe oxicology of such chemicals. It may help to counter misinformation that hides poisoning cases. Hard copies in both hardback and paperback versions are to be found on-line on outlets such as Amazon. Prices vary. Medical Series 17 is published by the UK Health and Safety Executive. 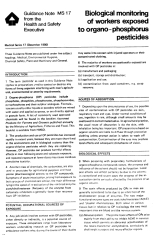 The paper advises medical practitioners about the symptoms, treatments and monitoring of those occupationally exposed to organophosphorus chemicals. 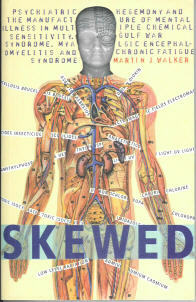 Skewed is published by Slingshot Publications, BM Box 8314 London.WC1N 3XX, UK. Priced at �, $20 or 18 Euros, it is written by Martin Walker, the author of Dirty Medicine. The book examines the influence of psychiatrists over the medical diagnosis of physical illnesses caused by chemical insults and studies the development of this strategy. The book traces the chemical companies' arguments against those who say harm has been caused by their chemicals and how they promote the view that those who suffer are mentally ill. Multiple Chemical Sensitivity and Gulf War Syndrome and how psychiatrists have shaped the processes of diagnosis and research and influenced public perception of the conditions. The UK Chief Medical Officer's enquiry into ME and CFS from 1998 to 2002 is also examined and case histories are used to illustrate patient experiences. 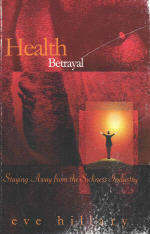 Health Betrayal is published by Synergy Books Pty Ltd, PO Box 745, St Ives, New South Wales 2075. Australia. Priced at $25 Australian it is written by Eve Hillary, the author of Children of a Toxic Harvest. Eve documents the inside story of chronic illness and links the emerging epidemics with factory farming, chemical insult and genetic pollution, including genetically engineered plants and animals. She discusses the control and influence over governments and the regulatory bodies and how the media helps to suppress the truth and manipulate opinion. Eve reveals the truth about how science is now "for hire" and how people are made ill so that industry can profit. Even suggests ways to promote healing and to avoid becoming ill based on her own medical training and how she overcame her own chemically induced illness. 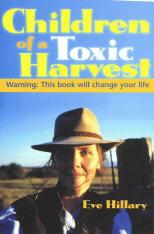 Children of a Toxic Harvest is published by Synergy Books Pty Ltd, PO Box 745, St Ives, New South Wales 2075. Australia. Priced at $20 Australian it is written by Eve Hillary, the author of Health Betrayal. Eve tells her own true story of her work on an isolated rural property when she dipped and drenched sheep and ran a successful horse stud. In the book she recalls how she coped with environmental disasters and how she had to seacrch for her own answers to undiagnosed and debilitating illness which left her with a broken marriage. Despite the odds, and all but defeated, she found inspiration, courage and hidden strength enough to pull through and gives hope to others in similar situations. 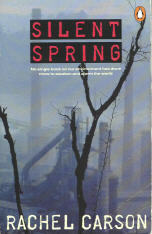 Silent Spring was first published in the USA by Houghton Mifflin in 1962 and in the UK by Hamish Hamilton in 1963 and Penguin Books in 1991, Dept E.P., Penguin Books Ltd, Harmondsworth, Middlesex. UB7 0DA. Priced at �99 and written by Rachel Carson the book exposed the effects of chemicals on the environment and the progressive poisoning of the planet. Many of the facts which she reported then are still controversially denied today, even though much of what she predicted and described has been proven by independent science. Her book is still an elightening reference work even today. 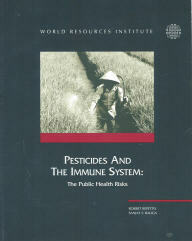 Pesticides and the Immune System:The Public Health Risks was published in 1996 by The World Resources Institute, WRI Publications, PO Box 4852, Hampden Station, Baltimore, MD 21211. Priced at $13.45 it is written by Robert Repetto and Sanjay S. Baliga and examines the health effects of environmental pollutants and policy issues involved with pesticides. The book assembles evidence of pesticide-induced immunosuppression which indicates a need for greater understanding of the risks involved with pesticide use. 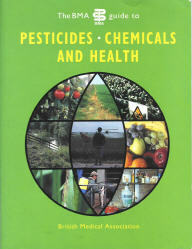 Pesticide Poisoning is published by the Stationary office book Shops, The Publications Centre, PO Box 276, London. SW8 5DT. 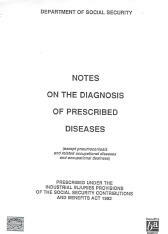 Priced at �95 and edited by Dr Alex Proudfoot this book was sent to all General practitioners in the UK in April 1996 in order to provide guidance in the treatment of pesticide poisoning. This is the Second edition of the government's guide to pesticide poisoning and replaced the earlier version publishe in the early 1980s. the publication shows that the dangers of pesticides are well known to government, and have been for many years. 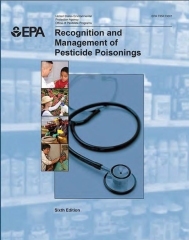 Recognition and Management of Pesticide Poisonings was published by The United States Environmental Protection Agency. The book examines the health effects of pesticides and details testing procedures and potential treatments. This is the 6th Edition of a very comprehensive and informative publication. 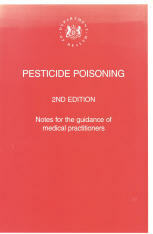 The guide appears to have been designed to be used in conjunction with Recognition and Management of Pesticide Pisonings. It gives detailed information regarding the treatment of poisoning cases. Or as a pdf file here. Organophosphorus Chemistry was first published in 1972 by the Penguin Library of Physical Sciences, Penguin Books Ltd, Harmonsdsworth, Middlesex, England. Edited by B J Walker it provides detailed information designed for students of organic chemistry about the organophosphorus group of chemicals. There have been many later editions of the publication. It is regarded as an important publication for organic, medicinal, and agricultural chemists and biochemists; pharmacists; chemical engineers; and students. It was edited by D. F. Heath for the Toxicology Research Unit, Medical Research Council Laboratories, Carshalton, Surrey. UK. The forward refers to the controversial nature of the subject and how the compounds had been developed both as potential war gases and wide use as insecticides. 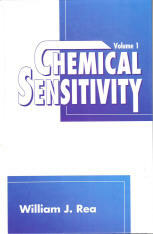 Chemical Sensitivity Volumes 1 to 4 Published by Lewis Publishers, CRC Press, Inc,. 2000 Corporate Blvd, N.W., Boca Raton, Florida 33431. These are expensive volumes but provide a detailed insight into the science of toxicology which can only assist those who are interested in the effects of chemicals on health. For anyone who really wants to understand the effects of chemicals on nutrition and health these four volumes offer an explanation for the causes of chemical sensitivity and the mechanisms of toxic actions. They are written By Dr William Rea with an expertise, based on decades of work, which enables the reader to understand that an hollistic aproach to the problem is the only way to proceed. Volume 4 examines diagnosis and treatment methods. 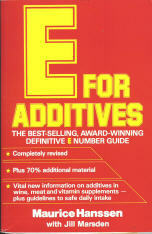 E is for Additives was published in 1987 by Harper Collins Publishers, 77-85 Fulham Palace Road, Hammersmith, London. W6 8JB. Written by Maurice Hanssen the book gives detailed information about the chemicals used as additives and preservatives in food. There is a useful list of all the "E" numbers and their chemical names and a guide to the foods in which they are used. In addition any known adverse health effects related to those chemicals are also reported. P is for Pesticides was published in 1991 by Ebury Press, Random Cetury House, 20 Vauxhall Bridge Road, London. SW1V 2SA. The book offers a guide for consumers who wish to avoid pollution and gives details of pesticides used and those that are found as chemical residues in food. The book also provides a brief history of pesticide use, information on the effects on human health, and the regulatory process. Gassed is published by Stratus Holdings PLC, 24C Old Burlington Street, London W1X 1RL. Priced at �, $23 US, This book, written by Guardian reporter Rob Evans, examines the work of Ministry of Defence scientists at Porton Down, in Wiltshire, England. The establishment used "human guinea pigs" in the study of nerve gas and other chemical weapons, and still does today. 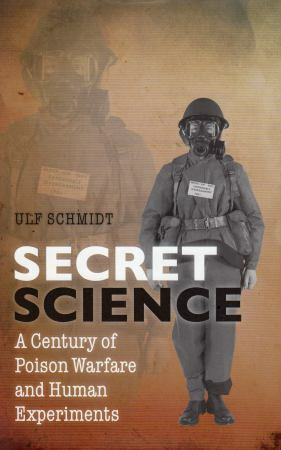 The book documents the history of "the longest running programme of chemical warfare tests on humans in the world"
It reveals the stories of some of those who took part in the experiments, which resulted in at least one fatality. Those experiments involved the use of mustard gas, LSD and organophosphorus nerve agents such as Sarin. The tests have been the subject of a major Police investigation under the code name "Operation Antler". and the experiments that were done on humans in Britain, The United States and in Canada. The book examines the motives for that work and the military and medical ethics involved, which resulted in the attempts to ban the use of such weapons. The publication offers advice to doctors on the diagnosis of Prescribed Diseases under the Industrial injuries legislation. This publication is not widely available and some claimants have had to struggle for years to obtain copies of relevant sections from government officials. The information contained in this publication demonstrates that those who have denied the long-term dangers to health posed by exposure to chemicals in the work place have been deliberately misleading us all. Note that the Industrial Disease legislation has been weakened by vested interests in recent years. Strangely some are no longer included as diseases, being wrongly included in the accident criteria. Their own regulations state that the resulting Disease takes priority over the Accident - even if the claimant is not aware of the disease. 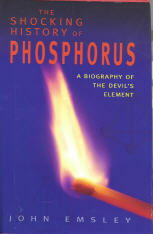 The Shocking History of Phosphorus, a biography of the Devil's Element is published by Macmillan Publishers Ltd, 25 Eccleston Place, London SW1W 9NF. Priced at �.99 and written by John Emsley this book describes the history of phosphorus from its discovery to the controversy surrounding its organic compounds in the present day. In this book we learn that DNA itself is regarded as an organophosphate and that there have been serious adverse health effects from phosphorus since its early days. Its history and use as a means to poison hhumans is indeed shocking, and continues. The Guide to the Professional Conduct of Solicitors is published by Law Society Publishing, 113 Chancery Lane, London WC2A 1PL. 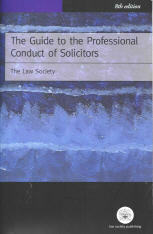 Priced at over �.95 this book allegedly reports on the standards expected of solicitors and those who act as solicitors . The guidelines make specific reperences to the duties and responsibilities of solicitors and the role of the Office of Supervision of Solicitors when those standards are not met. Sadly even when this information is to hand there is little chance that the laws and regulations reported in this book will be enforced. However it is important that all those dealing with solicitors should be aware of the rules with which their representatives are supposed to comply. Who knows, one day action might be taken to protect the clients and the good name of the law. The Penguin Dictionary of Biology Ninth Edition was published in 1996 by Penguin Books, 27 Wrights Lane, London W8 5TZ. This publication is a reference book for students professioinals and laypersons explaining biological terms with entries on molecular biology, immunology, cytology, genetics, ecology, botany and zoology. The Penguin Dictionary of Chemistry Second Edition was published in 1990 by Penguin Books, 27 Wrights Lane, London W8 5TZ. This publication is a reference book for students and industrialists explaining chemical terms with entries on the elements, compounds and other substances. 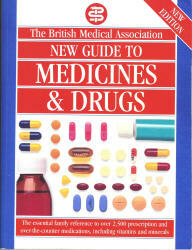 The BMA Guide to Medicines and Drugs is published by Dorling Kindersley Ltd, 9 Henrieta Street, London WC2E 8PS. This publication lists the major drug and medicine groups and dangerous interactions between different products when taken together. Numerous illustrations are given and explanations of how the drugs work can be very useful. Major drug groups are given dedicated sections with information on safety, dose rates, onset times and duration of effect are given in addition to any relevant warnings in respect to pregnancy, driving etc. This information is vital for those who are suffering the effects of environmental toxins or who are susceptible to low doses of chemicals. I ISBN : 978-0-7890-2388-9 in hard back or ISBN : 978-0-7890-2388-6 as a paper back. Written by Martin L. Pall, PhD, Professor of Biochemistry and Basic Medical Sciencees at Washington State Univerrsity. 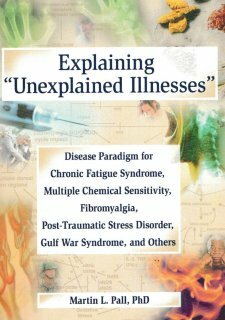 The book provides explanations for the conditions of Chronic Fatigue Syndrome (CFS), Multiple Chemical Sensitivity (MCS), Fibromyalgia (FM), and Post Traumatic Disorder (PTSD) and integrates molecular and biochemical data demonstrating how inflamation and immune abnormalities are strongly associated with the causation of these conditions. 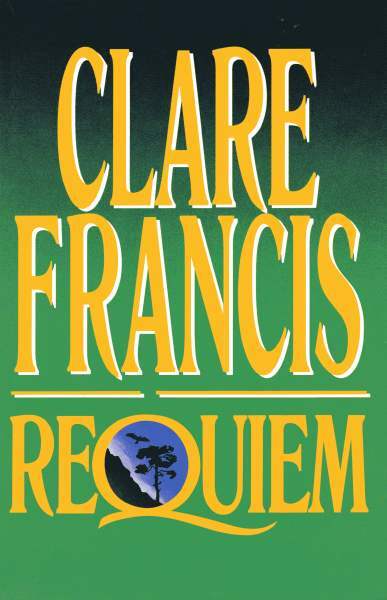 Although fictitious works should play no part in the science, those of us who have suffered at the hands of those who would hide the truth will be interested in the book by Clare Francis. It would seem that the information relied on in the book is likely to have been based on the real life experiences of a poisoned person. If not it is none-the-less a very good read.